"Next week at Oracle OpenWorld, we will announce the In-Memory Option for the Oracle database," he said in the press release. "Virtually every existing application that runs on top of the Oracle database will run dramatically faster by simply turning on the new In-Memory feature. Our customers don't have to make any changes to their applications whatsoever; they simply flip on the in-memory switch, and the Oracle database immediately starts scanning data at a rate of billions or tens of billions of rows per second." This sounds like another way to attack the database built by Oracle's arch rival, SAP. The SAP HANA database is an in-memory database, meaning it can crunch through vast amounts of data almost instantly. SAP says that HANA has been its fastest growing, most successful products ever. In the summer, two years after HANA's launch, SAP had nabbed over 1500 customers using it, the company said. That's still a pittance compared to Oracle's user base, but Oracle can't afford to ignore it because SAP is not necessarily winning these customers on price, but because of the super-fast technology. Plus, many of SAP's customers are using Oracle's database with the SAP software. SAP is trying to get them to yank out Oracle's database and use HANA instead. But changing a database isn't a trivial project for a company. This also sounds like a way to keep them from moving. This new in-memory product isn't Oracle's first and only answer to HANA, either. 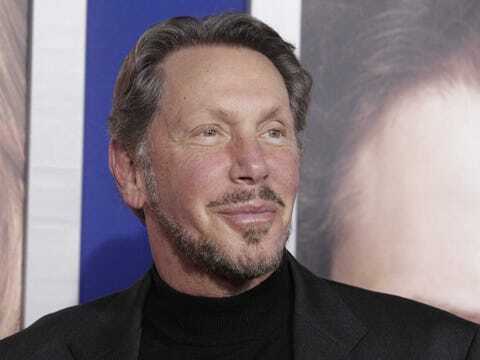 Oracle has, for a while, offered the Oracle TimesTen In-Memory Database.